The cord ends in two mini-USB connectors and can be used to power a number of mobile devices. It can charge two a time. This outlet also comes with caps for lighting and USB-C type devices so you’re covered! 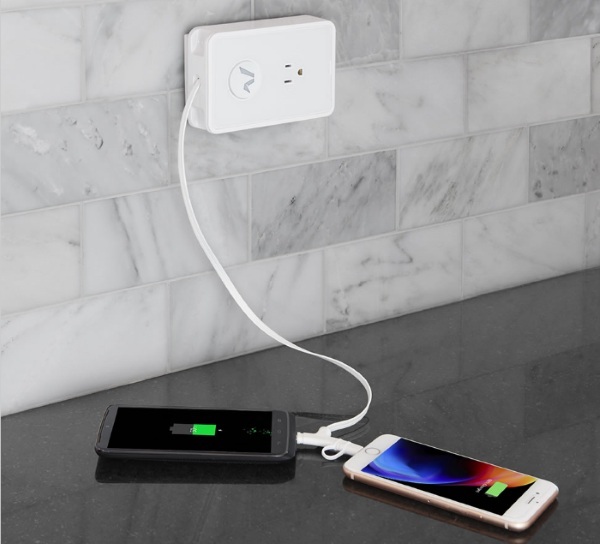 Provides one outlet port in addition to the charging ports. So plug in a lamp or a clock if you need. Or leave it empty, do what you want. Works in a grounded AC outlet. You can get one of these for $79.95.